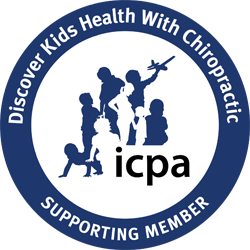 At The Health Practice, chiropractic care is our main focus. Dr. Andrea uses a new approach to HEALTHcare. Instead of treating your symptoms (the body’s way of telling us there is something wrong) she looks at the function of your nervous system to find the reason for your symptoms. We now spend over $2 trillion dollars for our healthcare system and are ranked last in life expectancy out of 17 industrialized nations. We are living shorter lives in poorer health. Dr. Andrea’s mission is to change this. In order to do so, we must change the way we are treating patients and concentrate on the core facts of the human body. The nervous system is what controls every function in the body. Therefore, keeping the nervous system healthy and functioning at it’s highest potential should be our main goal in the quest for good health. Chiropractic does just that! From the patient who is hours old to one who has lived a lifetime, all life is expressed through the nervous system. There are different ways to measure how our nervous systems are functioning. In the office, we use various tools to do so and show you the results of adding chiropractic to your life. 1. Thermography: This is a measure of how your autonomic nervous system is functioning. The autonomic nervous system is responsible for your organs, glands, and blood vessels. It is the system that releases adrenaline when you are in an emergency and aids in digestion after a big meal. This test tells us when there is a disturbance in the regulation of these systems which can cause one system to be over or under utilized, causing dysfunction in the whole system. 2. Surface EMG: This is a measure of your motor-neuro system and its response to stress on the body. If your stress response is always running, then you are spending way too much energy each day. This test makes sure your body functions are balanced and energy is spent in the most cost-effective ways. 3. Posture Analysis: Our bodies have an amazing ability to tell us things…if we are listening. Analyzing posture can tell us if there are abnormal curvatures, long-standing subluxations, or spinal anomolies present. When looking at the spine, ideally we would see a nice banana-shaped curve in the neck, another round curve going the opposite way in the middle back, and another banana-shaped curve in the lower back. Without these curves we could not run, jump, or do the normal movements we do on a daily basis. Things we don’t want to see are one shoulder higher than the other, one hip higher than the other, protruding shoulder blades, a persistent head tilt, or anterior head carriage. These are all indications that the spine has undergone changes from continuous stress on the body. 4. Palpation: By feeling for motion and symmetry in the spine and surrounding tissues, we are able to analyze where adjustments to the spinal segments are needed. The best thing for our bodies as a whole is movement. Without movement, we would be very sick individuals. The same goes for our spines! Without movement, arthritis and degeneration occur causing many problems and sickness. The chiropractic adjustment puts motion back into the spine where it was lacking due to misalignments between the bones. This relieves tension on the nerves and tissues supporting the spine and allows movement to be restored. There are many ways to adjust the spine. Dr. Andrea has been educated in many of those ways and uses her clinical knowledge and knowledge of the individual patient to deliver the best adjustment for their particular needs. No two adjustments are the same. Dr. Andrea uses not only her hands, for manual adjustments, but also an Activator for patients needing a low-force adjustment. Both ways of adjusting are affective and comfortable. Here at The Health Practice, we understand that chiropractic is only a piece of the TOTAL HEALTH picture. Because of this, Dr. Andrea also provides counsel on nutrition, supplementation, lifestyle changes, and exercise. Each of these is essential areas to address due to their contributions to body function. The choices we make on a daily basis determine our genetic expression. They either point us in the direction of life or bring us closer to death. Dr. Andrea is committed to life! For questions, please email Dr. Andrea at dr.andreab@gmail.com or call 402.915.3541.